A one-day flash sale at H&M, Journelle’s Semi-Annual Sale, an $8 silicone brush cleaning mat, and more lead Friday’s best lifestyle deals. It’s basically summer, so it’s as good a time as any to stock up on new workout clothes with PUMA’s Spring Markdowns (even though it’s summer). 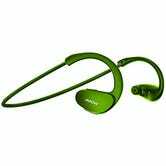 There’s something for every level of exerciser, and some everyday basics that you can wear just to look like you kind of workout. Cooking eggs isn’t exactly rocket science, but I’d say the ability to make soft, medium, and hard boiled eggs, plus omelettes and poached eggs at the touch of a button is worth $15. 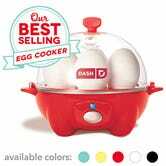 The Dash Go is Amazon’s top-selling egg cooker, and carries a truly stellar 4.5 star review average from nearly 3,000 customers, so get the red model while it’s on sale for several bucks less than the other colors.